You've probably figured out they don't teach you everything in college. 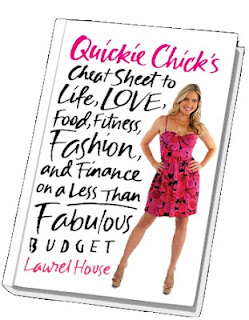 Luckily, Laurel House of the popular QuickieChick series has come up with a great guide to living fabulously -- from budgeting, scoring a mentor, career, relationship advice and everything in between. 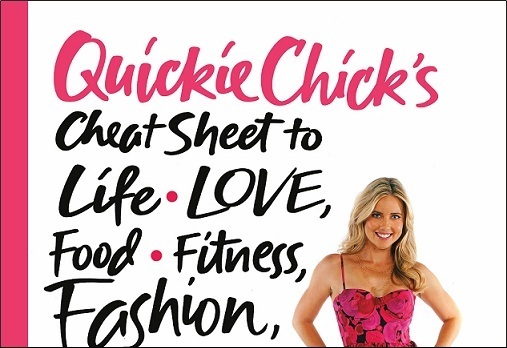 QuickieChick’s Cheat Sheet to Life, Love, Food, Fitness, Fashion and Finance on a Less than Fabulous Budget is the perfect rescue handbook about life and how to live it. QuickieChick’s Cheat Sheet gives the real scoop on life and shares everything you didn’t learn in school that you need to know. Our favorite part? The book is filled with professional advice from real women, business entrepreneurs, and exclusive tips straight from celebrities. Although some of the advice is common sense, Quickie Chick's Cheat Sheet is really packed full of advice for girls in college and beyond -- from whether you should move back home after college, how to budget, and fashion and love tips. At the end of each chapter, "cheat sheets" simplify the steps to success in concise advice. Luckily for you, College Gloss is teaming up with QuickieChick to give one reader this fabulous guide! All you need to do is "like" our Facebook page and fill out the form below. Loading... About the Author: Laurel House is a lifestyle author, expert, writer, personal trainer and the "QuickieChick." Her "quickies" are all about making the most out of every moment- whether it's a "Quickie Workout in Bed," dating and friendship advice, a de-puffing "Bites with Benefits" meal, or how to get a $150 spa-quality skin peel out of a $1 tomato and lemon at-home Refrigerator Facial. Her YouTube videos have received over 7 million views.